The exam fever is slowly increasing among the aspirants as many banks and organizations are releasing their notifications day by day. Now we have atleast eight exam notifications which have their preliminary exams in the near future. We hope your preparations are in manner to avoid the difficulties and to erect the victory flag in the final time. In between the preparations also concentrate fully for the other exams too , as you have to give importance to that exams too. The preparations are to be in the sky level , so that the chances of fulfilling the dream of having your name in the final merit list. Federal Bank have released the notification for the posts of Probationary officers and Clerks to join their premier banking institution. Recently in July too , federal bank have conducted exams for these posts and this exam is entirely different from the previous one and in terms of eligibility and domicile. However aspirants who wish to apply for both the post have to check the individual things of both the posts and it’s little confusing too. We have been constantly getting queries regarding this exam and we are here to solve those queries using this FAQ format type. Q1. When is the last date to apply for the Federal Bank Scale I Officers (PO) and Clerk Positions ? The last date to apply for the post of Scale I officers and Clerk positions is 4th September 2017. The tentative date for the Aptitude tests is 4th week of September. Q2. Do aspirants have to apply individually for both the posts in the Federal Bank ? Absolutely Yes. Candidates desirous of participating in selection processes for both the posts shall submit separate applications & make applicable payments separately. Q3. Is there any period of probation for the post of Scale I Officer and Clerk in the vacancies of Federal Bank ? Yes. Federal Bank PO and Clerk posts have probation period for both the posts. Q4. What is the individual eligibility Age criteria to apply for Federal Bank PO and Clerk positions ? Yes , Federal Bank have restrictions in age to apply for the posts of PO and Clerk. Q5. What is the educational qualification to apply for the post of PO and Clerk in Federal Bank ? An aspirant who wish to apply for the post of PO ( Scale I Officer ) and Clerk should be a graduate with a minimum of 60% in graduation level from any recognized university or other institutions established by an Act of parliament or declared to be deemed as a University under Section 3 of U G C Act, 1956. Also candidate should have finished the graduation through regular mode of study only. For Scale I Officer ,an aspirant should have obtained minimum 60% marks for SSC or equivalent exam & 60% marks for Plus 2 or equivalent exam. Q6. I am in the final year of my study , Can I apply for both the post in Federal Bank ? Sorry , You cannot apply as it is clearly mentioned that , Candidates should possess the stipulated educational qualification stipulated, as on date of closure of online application gateway, i.e. 04.09.2017. So you cannot be able to apply for the post. Q7. I am a resident of “(Any State)” , Can I apply for both the posts ? The place of domicile of the candidates applying for the post of Officer should be located in any location / state in India. The place of domicile of candidates applying for the post of Clerk should be located in the states of Assam, Karnataka, Maharashtra, New Delhi / NCR or Telangana. Q8. 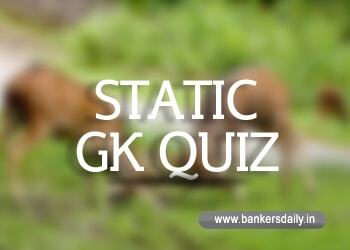 Is there any changes in the exam pattern for the post of Scale I Officers and Clerks in Federal Bank ? For Officers : Verbal (30) , Logical Reasoning (30) , Quantitative Aptitude (30) , General – Socio Economic – Banking Awareness (25) , Computer Awareness (20) and Digital Banking (15) . This exam is for 150 Questions and 150 Marks and for a total duration of composite time of 90 Minutes. For Assistants : Verbal (20) , Logical Reasoning (20) , Quantitative Aptitude (20) , General – Socio Economic – Banking Awareness (10) , Computer Awareness (10) and Digital Banking (10) . This exam is for 90 Questions and 90 Marks and for a total duration of composite time of 60 Minutes. For both the posts , the online examination will be followed by Psychometric Test with a question set of 20. Q9. Will a candidate have to sign a Service Agreement / Bond while they join as a PO/Clerk in Federal Bank ? Yes. The candidates have to serve a bond period of 2 years while they join as a PO / Clerk in Federal Bank or have to pay a amount of Rs. 50000/- for Scale I Officers Post and Rs.30000/- for Clerk Posts, if they wish to leave the organization before the bond period. Q10. What is the application fee to apply for the post of Scale I Officer and Clerk in Federal Bank ? We hope this would solve all the queries regrading applying for the post of Scale I Officers and Clerks. If you any further queries regarding Federal Bank exam , please drop it as a comment and we will be happy to assist you in solving the query instantly. Apply for the exams which have been announced recently and we have collated the information for your convenience in the link above. Will a candidate have to sign a Service Agreement / Bond while they join as a PO/Clerk in Federal Bank ? What will be the exam level for po exam….pls tell Me sir….